It is both hard and easy to explain the appeal Troika's games hold for our website's regulars. Hard, because the company's games were by no means perfect, even if all of them did at least one thing perfectly, or almost so: combat in ToEE, world design and non-linearity in Arcanum, writing and atmosphere in Bloodlines. Created on the lofty goals of "Design, Art, Code," the company sought to do ambitious things in all three departments, but despite the many moments of unrivaled greatness and originality, the stated goals and ambitions proved to be more than the company of Troika's size and finances could chew – or the industry could allow it to. Most importantly, however, and this makes it easy to explain our love for it, Troika Games has been one of the very few post-2000 developers who have tried – tried to do RPG design differently and in a non-standardized manner – and, unfortunately, failed. Is there really a rule that developers who try, and choose to go their own original way, also tend to fail an awful lot? As things stand, even with the 'crowd-funding' craze in full swing, it looks like sticking to making sequels is an RPG developer's best chance of survival and making profit. Maybe. We'll have to see how that works out for Obsidian Entertainment, for example. Anyway, Arcanum, for one, has always held a special power over the admirers of the 1990s-style cRPGs that reached their peak with Fallout. 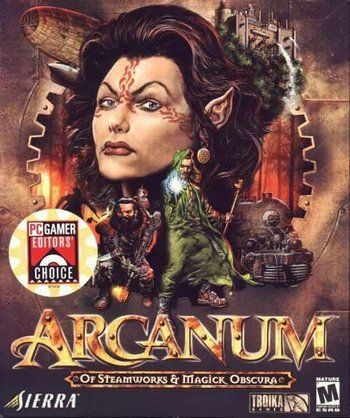 Set in a unique steampunk world where magic and technology are clashing, Arcanum is a role-playing game with a complex character system that allows you to at least reasonably play the role you choose in some way. "Choices and consequences" has traditionally been our catch-cry here at the Codex, and with Arcanum Troika managed to deliver some of the best. Akin to, say, Morrowind, there are many things for the player to do and a big world to explore, but unlike Morrowind you actually will have choices to make and those choices will affect the things you will be able to do so that the game does its best to move in a non-linear fashion. There are also some really – really – well-designed quests and an interesting host of characters to meet. While Arcanum also had its bad sides (the combat), overall it was and remains a classic role-playing game. (The game is available on GOG.com for a measly $5.99, by the way, so you should play it if you still have not. I am looking at you, Mr. Chris Avellone.) Troika's second game, The Temple of Elemental Evil (also available on GOG), while failing to live up to the lofty RPG ambitions of Arcanum, did, however, produce some of the best turn-based D&D combat ever seen in a computer game. Finally, Bloodlines saw Troika drop the classic isometric view and put their RPG skills to task in Valve's first-person Source engine, which resulted in an extremely interesting mix of FPS and RPG, one of the best to this day alongside such games as Deus Ex, with some excellent design and an incredibly addictive writing and atmosphere. Therefore you can imagine how excited we were when Leonard Boyarsky agreed to do a retrospective interview with us, which you can find below. In the interview, Leonard talks Interplay, Troika, and some of the inspirations and design (and business) particulars behind the titles he helped create. How did you find your way into role-playing video game design? Did you come from pen & paper RPGs? I did not have a lot of experience with pen and paper RPGs, unfortunately. I was fascinated with DnD and other RPGs when I was younger, but I never found a good group of people to play with. My first PnP experiences were at Interplay with Tim Cain running a Conan campaign. He also ran a pretty cool GURPS Space campaign, if I recall correctly. What was the atmosphere and company culture like at Interplay when you worked there, and how did it develop into the situation that prompted you to leave the company? You are famously associated with the original Fallout mood and look. Was it hard to convince everyone else at Interplay that the "future 1950s" art style was the way to go? What rival ideas were there for the game's look? Aside from Fallout's overall art style, can you give us a rundown of what exactly you designed and wrote for Fallout 1 and Fallout 2? Apart from the look, which is the obvious high point, what contributions to the Fallout games are you most proud of? I’m not going to try to write an exhaustive list of what I designed/wrote in Fallout, as that would be, well, exhausting. When I think about all the writing we did on Fallout, the first things that always come to mind were the edits we had to do for the talking head conversations. A lot of times the conversations didn’t make sense or deliver the information they were supposed to, but they had already been recorded and we didn’t have the budget to rerecord them – so we had to go in and edit/rewrite the player responses and rearrange the NPC lines so that the conversations worked. In some instances, like Vree, the information we wanted to impart to the player just wasn’t there so I had to add her assistant (Sophia, I think?) so that there was at least an NPC around who did have the necessary info. And she wasn’t the only one—we had to add several NPCs with vital information that was supposed to be covered with the talking heads but for some reason wasn’t. I did extensive rewrites on Gizmo, Killian and the Master as well as one or two others. One scenario I really enjoyed designing was in Adytum – Zimmerman’s situation with the regulators, his son and the Blades. I wrote a lot of NPCs, too many to list (or remember). I also wrote some of the holodisks. From a design standpoint, I’m really proud of the tone we hit for the game, the humor style. Even though I was the one who started the fifties ironic horror/comedy vibe, I can’t take full credit for its final form in the game – it really ended up being an extension of a combination of our personalities. Once it was established, however, I was the policeman who made sure that we hit that tone whether it was in the art or the design. Above everything else, though, the two things I am specifically most proud of are the intro and ending to the game. I guess those would be half design and half art, but I’m proud of both aspects of them. I think the intro did a great job setting the mood, and the ending had a nice haunting feel to it. I still can’t believe Tim let us kick the vault dweller out of the vault to end the game. Was founding your own video game developer company something you had long wanted to do, or was it a spontaneous decision? How difficult was it for you as Troika's CEO to balance creative and business challenges? As you put it in a past interview, "being original is risky." Do you believe originality, and the fact it did not sell, was the chief reason Troika was not able to survive? 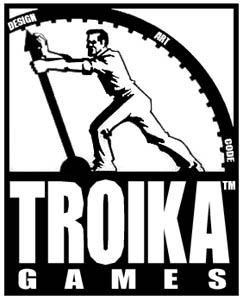 In the book Gamers At Work, Tim Cain mentions that Troika might have kept itself afloat by taking on various non-RPG projects, but that he was unwilling to sign on to games he "had no interest in playing." How do you feel about this kind of decision today? Is there – was there ever – a place for this kind of idealism in the industry, or should pragmatism have ruled the day? What were your inspirations for the unique art style and look of Arcanum that blends 19th century aesthetics with traditional medieval fantasy? Also, as far as the game's setting is concerned, what inspired the accent on the conflict between magic and technology? 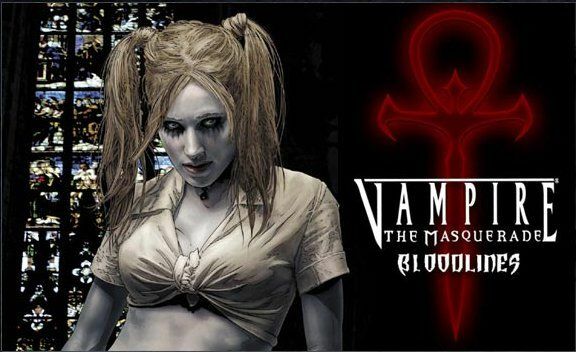 Vampire the Masquerade: Bloodlines was very different from Troika's other cRPGs. What motivated the shift to action gameplay and first person perspective? Did publisher and market demands have anything to do with it? As the project lead, what exactly did you design and write for Bloodlines? What is your favorite location in the game, be it among the ones you designed or the ones you did not? As I said before, the management/lead demands really cut into my actual day to day work on Vampire, but I did get in there and get my hands dirty on some stuff. I did a fair amount of character concepts and texture work on the art side, and I reviewed, revised and/or edited much of the dialogues for the game. Chad Moore, Jason and myself came up with the basic storyline for the game, and I also was able to write a few of the side characters. Bloodlines boasts some of the best voice acting in the video game history as well as an excellent soundtrack. How did the game's sound design come together? 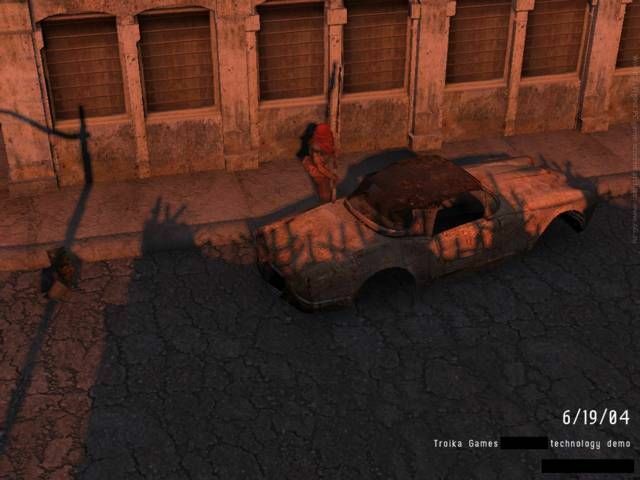 How far in development was Troika's post-apocalyptic cRPG? Can you share some of the ideas you had for the story and setting, as well as for the game's name? 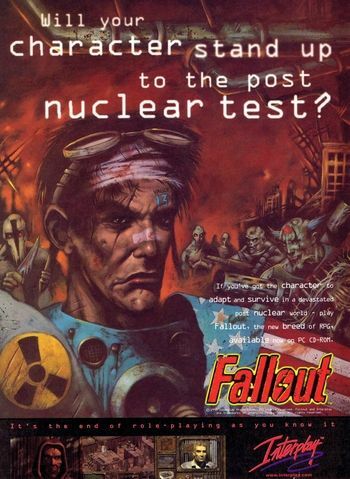 Did it represent the direction you wanted the Fallout license to take if Troika had gotten it? You famously attempted to pitch your post-apocalyptic cRPG to publishers. Can you describe those pitch meetings? How did they go, and what did the publishers have to say in response to your pitch document? Why do you think none of them picked the game up? Apart from the post-apocalyptic cRPG, were there any other Troika games in development that failed to see the light of day? If there were, what can you tell us about them? 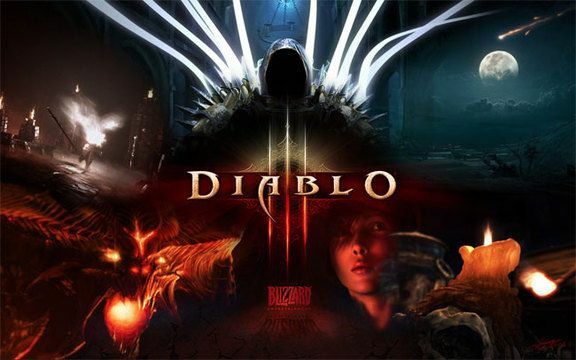 How did your decision to join Blizzard to work on Diablo III come about? In your view, what makes a good role-playing game and what are the defining elements of the genre? What do you think about the current state of the cRPG industry and how do you envisage the future of the genre? Are there certain trends that are worrisome to you or, on the contrary, that you especially appreciate? For turn-based cRPGs, do you prefer Temple of Elemental Evil's full party control or Fallout’s single controllable character with followers? I think it’s great. It’s wonderful that old school games are being funded this way. I don’t know that it will have much of an effect on the publishing industry, though, unless one of the games is a huge hit. We are grateful to Leonard Boyarsky for taking time out of his demanding schedule to do this interview for us, and Che'von Slaughter of Blizzard Entertainment for kindly allowing it to take place.